Last year at the National Restaurant Association (NRA) Show, we did something unexpected and brought virtual reality design to the show. Rather than shipping large, heavy equipment to the exhibit, we instead had two open booths with virtual reality headsets. Over 400 people entered our virtual reality kitchens and experienced a new way of interacting with us. Inside the headset, viewers were met by our virtual trade show guide and were led through a short training experience where they were able to dispense and cook frozen fries, make and transport a sandwich, make a frozen treat and even pour a coffee with the use of the virtual reality controllers. We realized then that virtual reality could benefit our customers in an even bigger way, so we decided to make a fully immersive virtual reality design tool. We continued to talk with the team who built our NRA experience, Nashville-based BlackBox Realities, about the possibility of creating an immersive design tool that that would allow our customers to feel and experience their kitchen before anything was ever built. We could help customers shorten the design and engineering process and save time and dollars. BlackBox Realities President, Lee Kebler, knew this tool would be a challenging one to create, but that their team was well equipped for the task. They started laying out the project in phases to tackle one section at a time. Phase one provides customers the ability to input room dimensions and load the customer's kitchen designs into place in virtual reality so they can physically walk around the space. Many people have a hard time understanding the difference between a 3D modeling tool and virtual reality when it comes to approving designs. It is true that you can get a good idea of a room layout in a 3D model on your computer. But clicking around the room won’t give you the same perspective that virtually walking around the space can give you. Customers start by putting a headset on and entering their virtual kitchen by placing a figurine in the location they want to go. 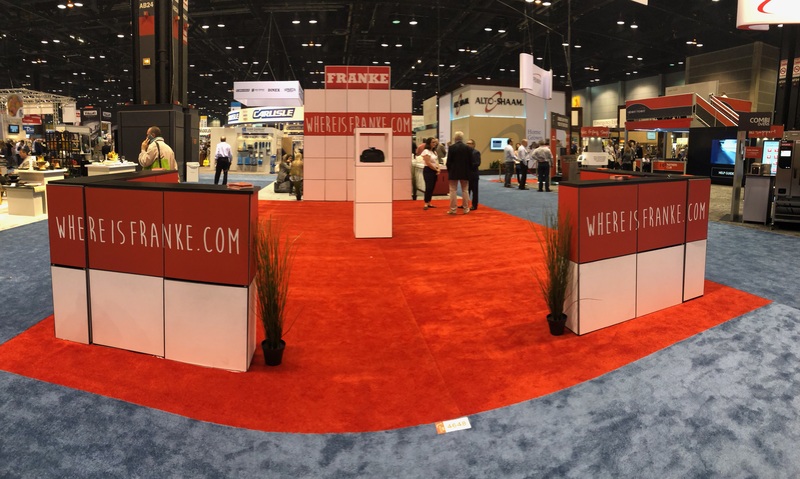 They can be joined by one of Franke’s engineers to discuss design changes, even if they are geographically in another location. We love this feature because it allows us to both see the space together and stay in direct communication. Apart from full room design, our immersive VR design tool is also available to approve a specific piece of custom fabrication or smartwares solution. Interacting with equipment in virtual reality allows customers to test ergonomics, visibility and efficiency issues. This is a useful way of seeing a prototype “in person” before ever investing the money into creating a physical prototype. This tool is being tested in beta form currently, and is in ongoing development. If you think your restaurant chain would benefit from Franke’s new fully immersive virtual reality design tool for your next kitchen or product design please reach out to us.